The latest JIN Radio features some fun hip hop and 2 new artists including our Hot Pick Eva Aine! Check it and groove. JIN Radio celebrates its 70th show with some great R&B and Hip Hop music. Including and introduction ZOOCO and great new artist Liza Villegas. Keep cool and enjoy the groove! 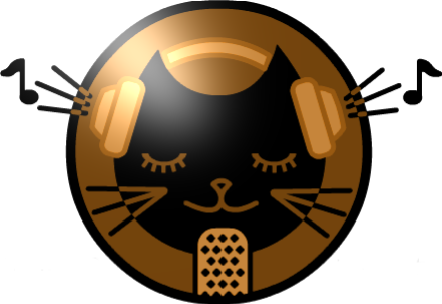 A new JIN Radio The Hip Hop R&B flashes back to some great artists and music from inori, Can’no, Jay and more! Check it and groove. The last JIN Radio of the year is here with the Top 3 Hip Hop R&B Indie artists introduced in 2010. All with new songs as well as our Hot Pick ORION. Enjoy the and Happy Holidays!! The latest JIN Radio The Hip Hop R&B features this week’s Hot Pick CHIKA, Smooth hip hop artist Kojoe, the great Brenda Vaughn and more. Check the groove! The latest JIN Radio the Hip Hop R&B is groovin again with our Hot Pick of the Can’no, singer Tamala, Lady MC FIZZ and more. Check out the latest JIN Radio The Hip Hop-R&B with some old faves including SNAP and C-Way. New artist misty kam and a live look at Taichi Kanon. Cool grooves await! This week’s JIN Radio will be introducing Hip Hop-R&B songs perfect for summer play. Artists like Azian Black, Shing02, Yoshimi and more will be giving the grooves so turn the bass up and enjoy! A new Hip Hop-R&B JIN Radio with music from our Artist of the Month Roundsville and new artists on the site including Adorable Groove and more. Check it and groove!